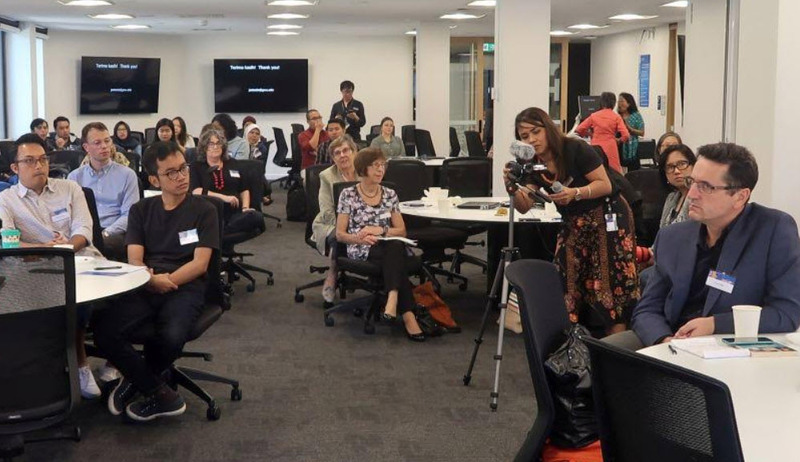 Speaking to an audience that fully-packed the venue of our Monash Indonesian Seminar Series on March 14, 2019, Janet Steele addressed the question of what Islamic journalism might mean in Indonesia and Malaysia in the past 20 years. She examined the work of journalists at five news organisations: Sabli (an Indonesian Islamist magazine), Tempo (a weekly Indonesian news magazine that was banned by the Soeharto regime and returned to print in 1998), Harakah (newspaper in Malaysia), Republika (Indonesian newspaper), and Malaysiakini (online news portal). She argued, Muslim reporters in one of the world’s most populous Muslim regions draw upon what are arguably universal principles of journalism, but understand and explain them through the lens of what Prof Steele calls “an Islamic idiom”. What they say about the meaning of their work suggests a richness of experience that has been overlooked by both scholars and those engaged in international affairs. Steele is an Associate Professor in the School of Media and Public Affairs, and Director of the Institute for Public Diplomacy and Global Communication at the George Washington University (USA). Her latest book, Mediating Islam : Cosmopolitan Journalisms in Muslim Southeast Asia, was published in 2018 by the University of Washington and NUS Press.